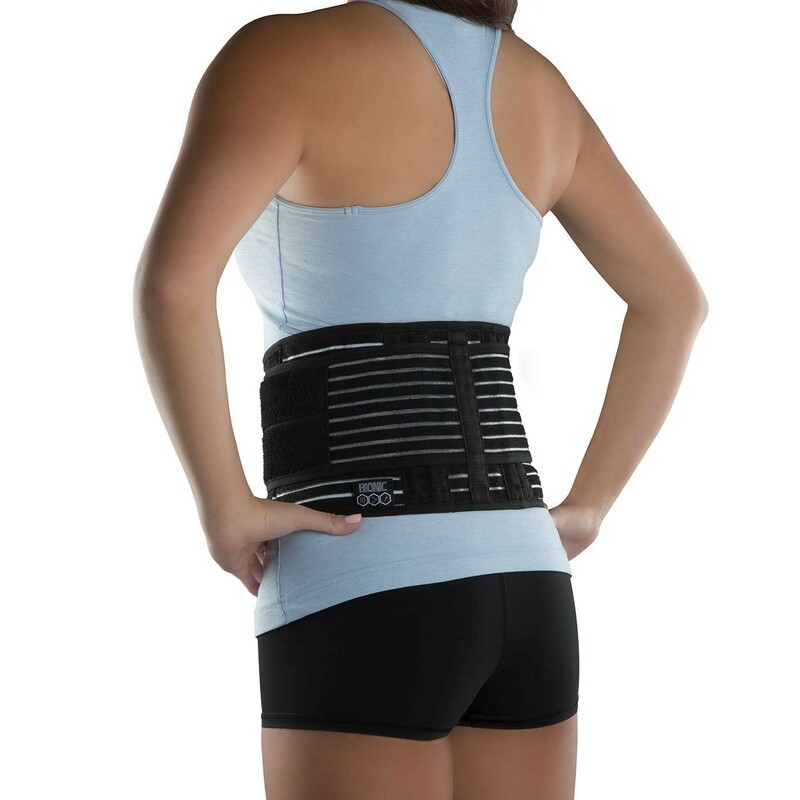 Compression back wrap with pull straps and flexible stays for low-back support. Don't let back pain stop you from moving. Relieve discomfort and get the right back support with the DonJoy Performance Elastic Back Wrap. Designed as a wraparound back support, the Elastic Back Wrap offers features to deliver back support without restricting movement. Whether you need to reduce pain or need extra back compression, the Elastic Back Wrap can be worn for all sorts of activities. The DonJoy Performance Elastic Back Wrap is a low-profile compression back wrap designed to help support the lumbar spine and help alleviate low-back pain and strains. Easy to adjust, the Elastic Back Wrap features two pull straps for and easy application, flexible stays and a removable back pad to help protect the back without limiting range of motion. With plenty of ventilation, the Elastic Back Wrap helps deliver comfort and support when on or off the field. Open the back wrap and center the support on the low back with the back pad comfortably on the lower curve of your back. Attach the waistband and then pull the pull straps forward. Secure the wrap in the front and adjust as needed.